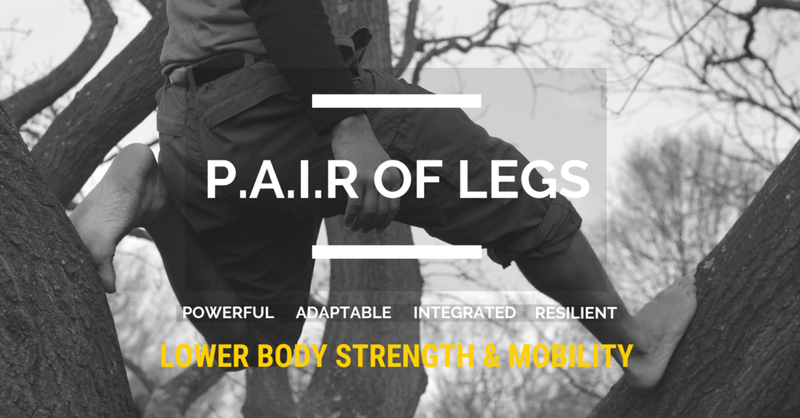 Do you want a P.A.I.R of legs that are: Powerful, Adaptable, Integrated & Resilient? Legs that are useful, can perform and are built to last? - Mobility development and health for hips, knees, ankles and feet, building the prerequisite strength and control in ranges of motion you need for your movement. - Footwork, coordination, agility and rhythm work - what good are your legs if you can not coordinate them to get into positions to produce power or find rhythm and deal with the unpredictable.